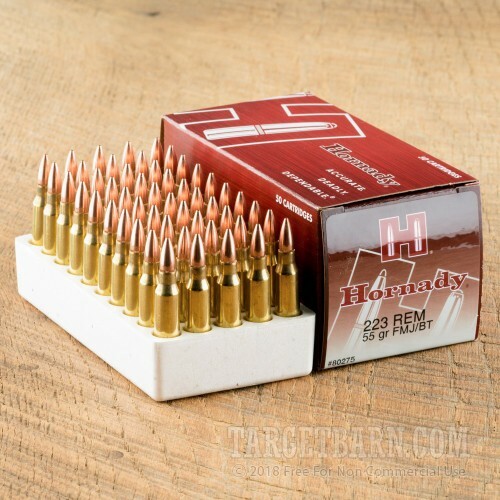 Serious shooters of AR-15s and other .223/5.56 NATO rifles will appreciate the solid performance of this target ammunition from Hornady. 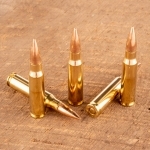 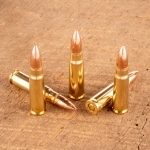 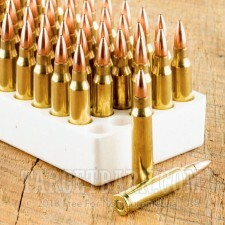 These cartridges come in a bulk case of 500, divided into 10 boxes of 50 rounds each. 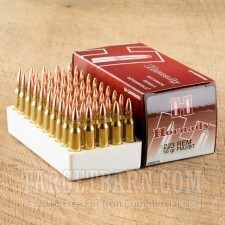 They are great for match training or precision range use! 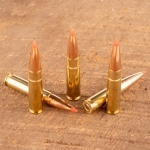 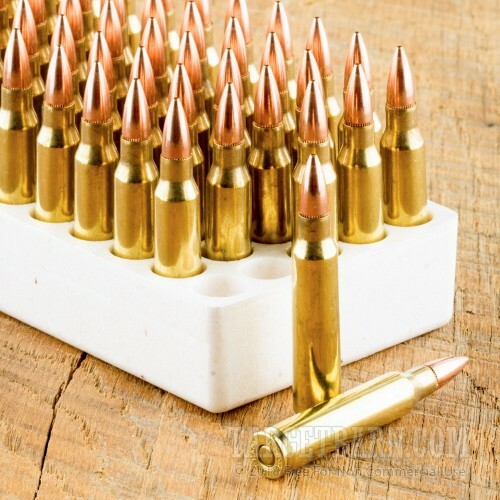 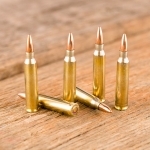 These cartridges have similar specs to M193 ball ammo, firing a 55 grain full metal jacket bullet at a muzzle velocity of 3,240 feet per second. 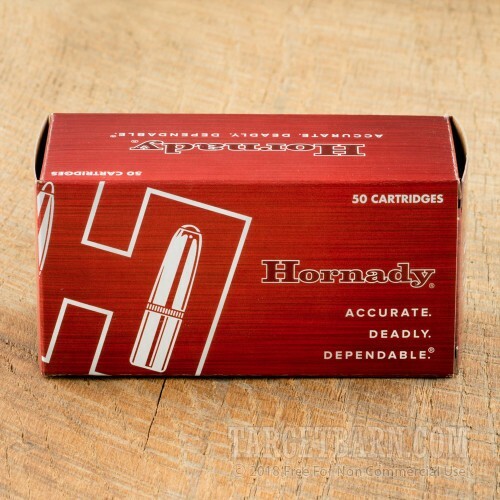 Hornady ammunition is made in the USA using non-corrosive boxer primers and reloadable brass cases.